A marriage of the many unique aspects and areas of my life. Celtic knots that surround me at my job, M.C. 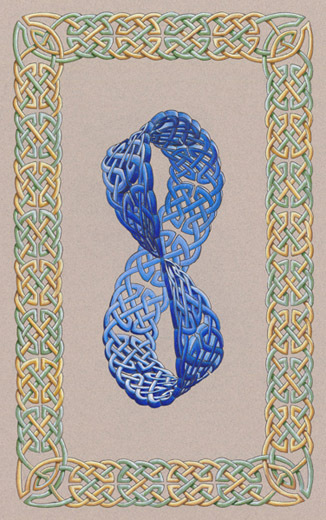 Escher who has always been inspiring to my art, and the möbius strip, an intriguing mathematic form that relates to my education. The original sold at MidSouthCon 2006.